Ten years after our first album “Frammenti”, published by the italian label Silta Records, we are happy to be still together to present this new recording entitled “Chance”. This is an album that represents ourselves in every detail and it includes all original compositions expressively written for this group. Gianni Virone is native to Chieri (Turin, Italy). Saxophone player, arranger and composer since 2002, he worked with small groups, big bands/orchestras and recording as arranger, section player and soloist before playing his compositions with his own trio. His professional activities also include teaching saxophone, improvisation techniques, jazz harmony, composition/arranging and big band class in several schools. He graduated at “Conservatorio G.Verdi” in Turin with Furio Di Castri with the highest degree and attended several masterclasses in Italy and abroad with artists like Dave Liebman, Airto Moreira, Jerry Bergonzi, Enrico Rava, Gianluigi Trovesi, Steve Coleman, Ayn Inserto and many others. During the “Siena Jazz Summer Workshop 2002” he won the award named “Nuoro Jazz Workshop 2003”. The next year in Nuoro, he was selected to play at the “Berchidda Jazz Festival 2004”. In 2003, he also won the “Talens” competition for soloists organized by the “Istituto Musicale di Rivoli”. Thanks to them, he attended the Summer Workshop organized by the New School University of New York in Bassano Del Grappa where he was selected for a scholarship. He won the first edition of the national competition “Nuovi Talenti del Jazz Italiano” in 2004. The same year he was a finalist of the “Premio Nazionale Massimo Urbani”. As a big band composer, he was a finalist in several international contests like “Barga Jazz 2007” and “Scrivere in Jazz 2010 and 2014”. He collaborated with various big bands both as an arranger and section player (all saxes, clarinet, bass clarinet and flute) and he played also with: Paolo Fresu, Furio Di Castri, Roberto Gatto, Gianni Basso, John Riley, Fabrizio Bosso, Flavio Boltro, Javier Girotto, Rita Marcotulli, Scott Hamilton, Dusko Gojkovic, Jimmy Cobb, Philip Harper, Terrell Stanford, Eric Vloeimans, Maria Pia De Vito, Danilo Rea, Emanuele Cisi, John De Leo, Nguyèn Lè, Pietro Tonolo and many others. He is an endorser of the Italian saxophone factory Rampone & Cazzani since 2004. Mattia Barbieri, drummer, was born in 1978. He started his concertistic career at the age of 17. In 2000 becomes an element of the Furio di Castri European Youth Orchestra. He permanently plays with Richard Galliano Quintet, with whom he has made several world tours. He also cooperates with Peppe Servillo, Fabrizio Bosso, Javier Girotto, Rita Marcotulli and Furio di Castri, and among others with Flavio Boltro and Mauro Battisti BBBTrio and since 2004 with the MauMau. He has also played and cooperated with: Rossana Casale, Franco d’Andrea, Francesco Bearzatti, Stefano Risso, Fabrizio Rat,Gianluca Petrella, Samuel Romano (Subsonica), Paolino dalla Porta, Nguyen Le,Marco Tamburini, Achille Succi, Bebo Ferra, Emanuele Cisi, Jino Touche, Antonio Marangolo, Monovox, Luca Vicini (Bassvicio), Davide Di Leo (Boosta), Isabel Sorling, Diego Borotti, Giorgio Licalzi, Mao e la Rivoluzione. Davide Liberti was born in Turin in 1980. After playing the electric bass, was thunderstracked by listening Scott LaFaro and, when he was 18, began to study the double bass. His technical and expressive evolution has been really much influenced by the Evans’ trios. For many years he played a 5 strings double bass with acute C that allows him to use the double bass not only as a percussion instrument but mostly as a second and third voice inside the group (preferably little groups), which he cooperates with. 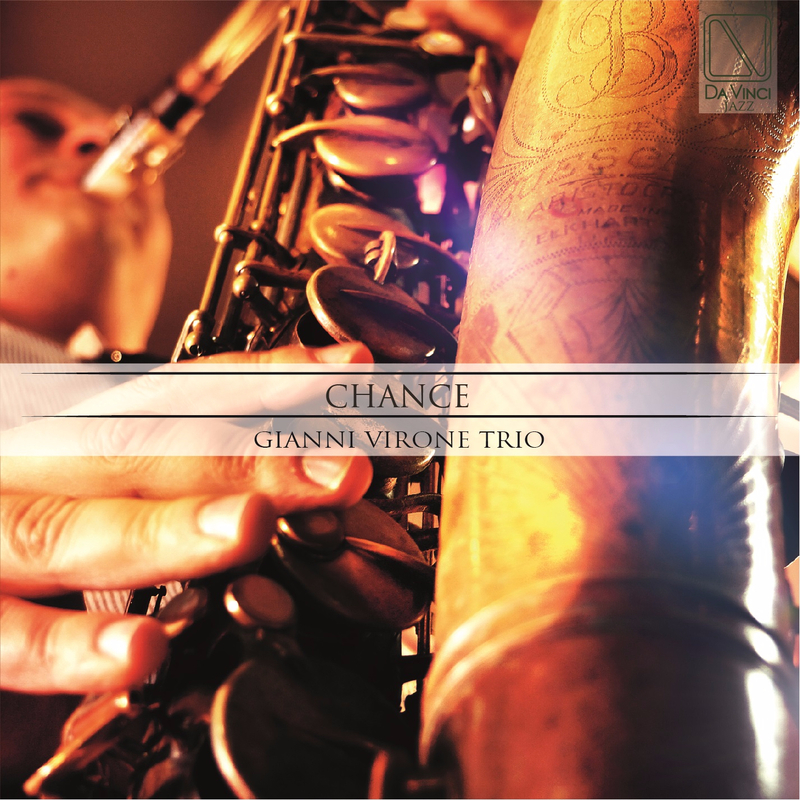 Virone, Gianni (Saxophonist), is native to Chieri (Turin, Italy). Saxophone player, arranger and composer since 2002, he worked with small groups, big bands/orchestras and recording as arranger, section player and soloist before playing his compositions with his own trio. His professional activities also include teaching saxophone, improvisation techniques, jazz harmony, composition/arranging and big band class in several schools. He graduated at “Conservatorio G.Verdi” in Turin with Furio Di Castri with the highest degree and attended several masterclasses in Italy and abroad with artists like Dave Liebman, Airto Moreira, Jerry Bergonzi, Enrico Rava, Gianluigi Trovesi, Steve Coleman, Ayn Inserto and many others. During the “Siena Jazz Summer Workshop 2002” he won the award named “Nuoro Jazz Workshop 2003”. The next year in Nuoro, he was selected to play at the “Berchidda Jazz Festival 2004”. In 2003, he also won the “Talens” competition for soloists organized by the “Istituto Musicale di Rivoli”. Thanks to them, he attended the Summer Workshop organized by the New School University of New York in Bassano Del Grappa where he was selected for a scholarship. He won the first edition of the national competition “Nuovi Talenti del Jazz Italiano” in 2004. The same year he was a finalist of the “Premio Nazionale Massimo Urbani”. As a big band composer, he was a finalist in several international contests like “Barga Jazz 2007” and “Scrivere in Jazz 2010 and 2014”. He collaborated with various big bands both as an arranger and section player (all saxes, clarinet, bass clarinet and flute) and he played also with: Paolo Fresu, Furio Di Castri, Roberto Gatto, Gianni Basso, John Riley, Fabrizio Bosso, Flavio Boltro, Javier Girotto, Rita Marcotulli, Scott Hamilton, Dusko Gojkovic, Jimmy Cobb, Philip Harper, Terrell Stanford, Eric Vloeimans, Maria Pia De Vito, Danilo Rea, Emanuele Cisi, John De Leo, Nguyèn Lè, Pietro Tonolo and many others. He is an endorser of the Italian saxophone factory Rampone & Cazzani since 2004. Mattia Barbieri, drummer, was born in 1978. He started his concertistic career at the age of 17. In 2000 becomes an element of the Furio di Castri European Youth Orchestra. He permanently plays with Richard Galliano Quintet, with whom he has made several world tours. He also cooperates with Peppe Servillo, Fabrizio Bosso, Javier Girotto, Rita Marcotulli and Furio di Castri, and among others with Flavio Boltro and Mauro Battisti BBBTrio and since 2004 with the MauMau. He has also played and cooperated with: Rossana Casale, Franco d’Andrea, Francesco Bearzatti, Stefano Risso, Fabrizio Rat,Gianluca Petrella, Samuel Romano (Subsonica), Paolino dalla Porta, Nguyen Le,Marco Tamburini, Achille Succi, Bebo Ferra, Emanuele Cisi, Jino Touche, Antonio Marangolo, Monovox, Luca Vicini (Bassvicio), Davide Di Leo (Boosta), Isabel Sorling, Diego Borotti, Giorgio Licalzi, Mao e la Rivoluzione. Davide Liberti was born in Turin in 1980. After playing the electric bass, was thunderstracked by listening Scott LaFaro and, when he was 18, began to study the double bass. His technical and expressive evolution has been really much influenced by the Evans’ trios. For many years he played a 5 strings double bass with acute C that allows him to use the double bass not only as a percussion instrument but mostly as a second and third voice inside the group (preferably little groups), which he cooperates with.